Her children adore them!! They have had them for a few days now and she assures me they are getting much love!! Isn't it just the greatest when your projects are loved by little ones!!!! So what can you win . . . 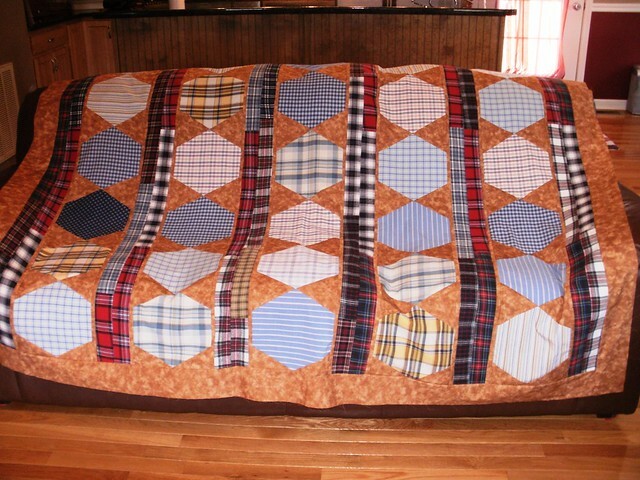 So what qualifies you to be a Wantobe Quilter . 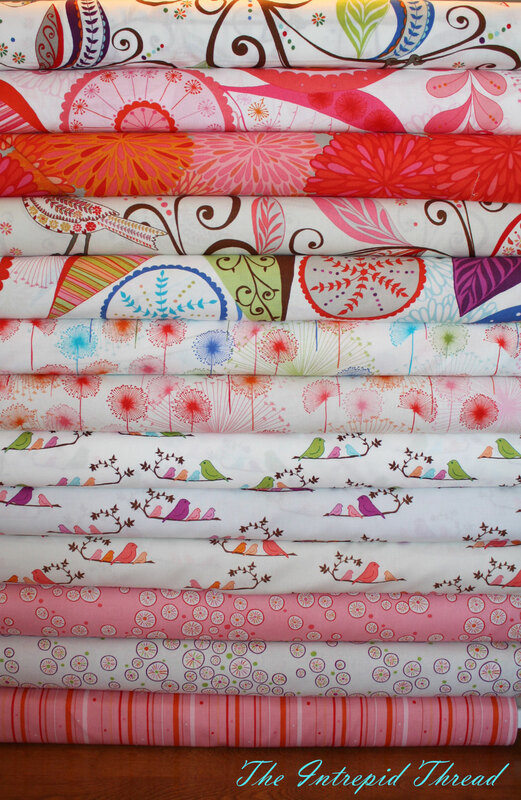 . .
You do not have your own machine, tools, notions, or fabric stash. (now I know a few of you have a old, beat up, or "wimpy" machine but that is okay, that just means you don't qualify to win a machine, but you can win anything else.) 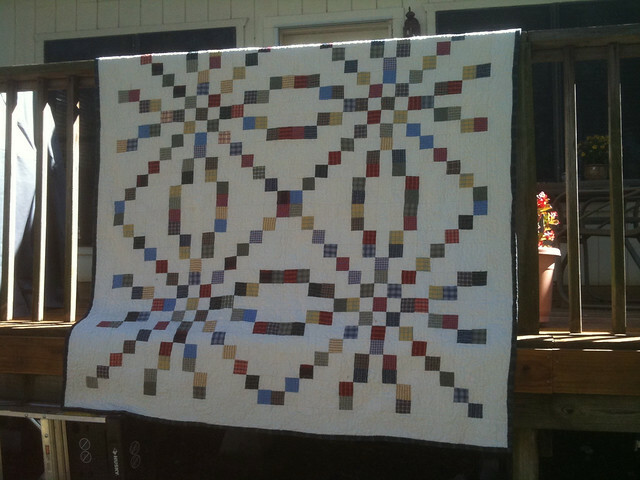 Basically, You could have made a quilt once with a Mom, Sister, Friend, ect. but you loved it, and want to do it more, but you don't have your own tools. So what do you have to do . . . Doing these two easy steps qualifies you to win!! Pretty Easy Right!!! This all starts August 1st so make sure to send me those emails by then :) It is going to be so much fun!!!! Let's get right to it, shall we!!! 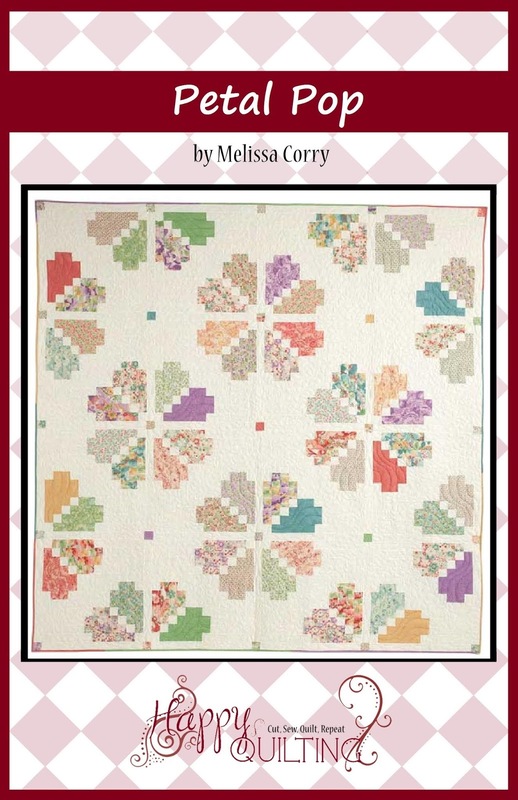 The winner of the Summer Breeze Quilt Kit sponsored by Burgundy Buttons is . 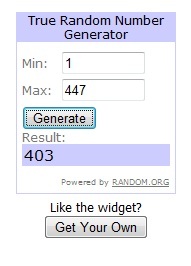 . .
#403 . . . Who happens to be . . . harleywife57!!! Congrats!!! I have sent you an email. I already follow Burgundy Buttons Blog and on facebook ! Oh my goodness, did I miss sewing!!! I really was starting to get a little cranky not having time to spend in my new sewing room. So this week, I ended the hiatiaus by working on some VIBee Blocks. The first one is for Meghan. 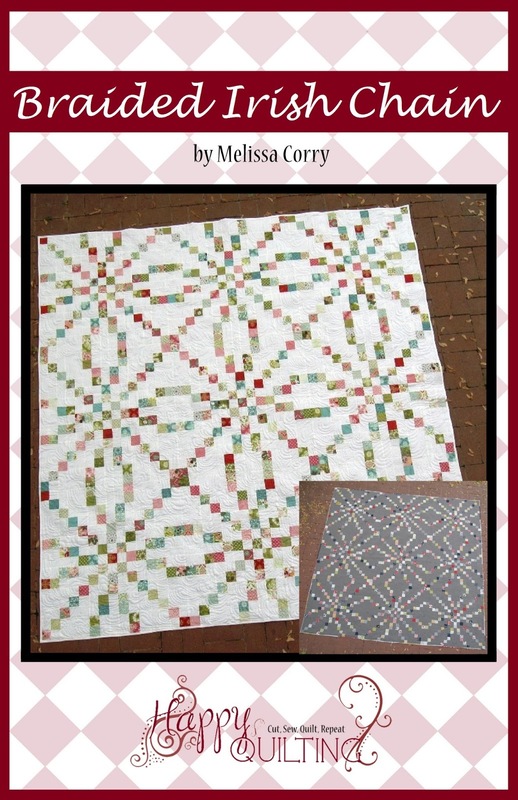 She is making a red and teal quilt for her husband who is in the Army Airbourne division. So I googled images of Army Airbourne and came up with this for a little inspiration. And this is what I created from that inspiration. I hope you like it Meghan. I am just thrilled with how well it turned out :) And I am just realizing as I posted this that I spelled Airbourne wrong, after I checked it like 10 times. Grrrr!!! Drum roll please . 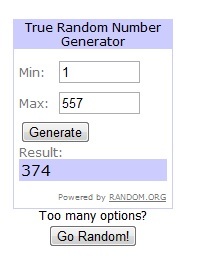 . . . . . . #374 Who happens to be . 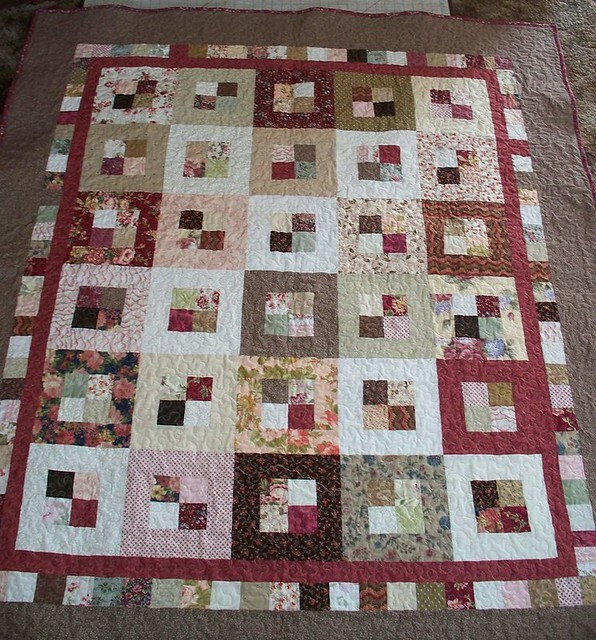 . . Quilt N Queen!! Yippee Skippee to You!!! So could your family use a Christmas Traditions Advent Calendar to help you keep track of all your holiday going's on?? 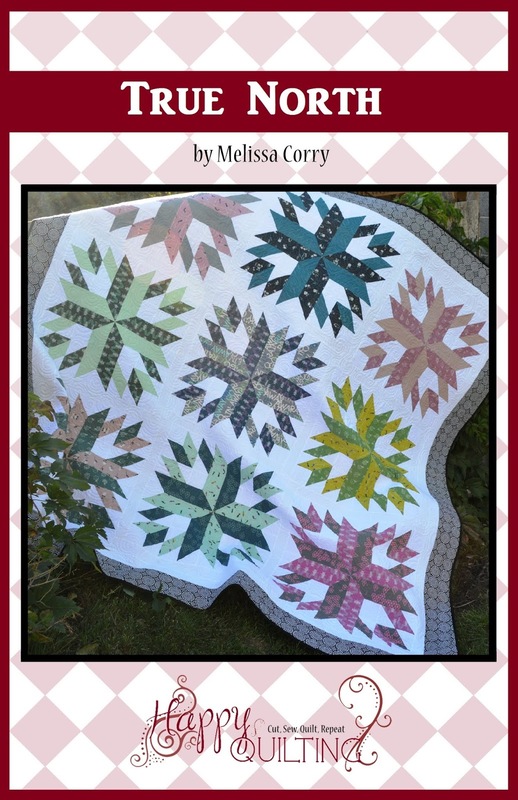 Well great, just pop on over to Burgundy Buttons where Leah has worked up an adorable Christmas Traditions Advent Calendar Quilt Kit just for you :) And as always, at great Burgundy Buttons prices. Hurry, supplies are limited!! I just love Christmas!!!! I had so much fun putting together this little Christmas Calendar and I hope you love it just as much as I do. More importantly, I hope this little project tutorial will help many of you out there to keep the Christmas Spirit in your home. I will finish this post with a bit of a close-up. Don't you just love that adorable applique!!! 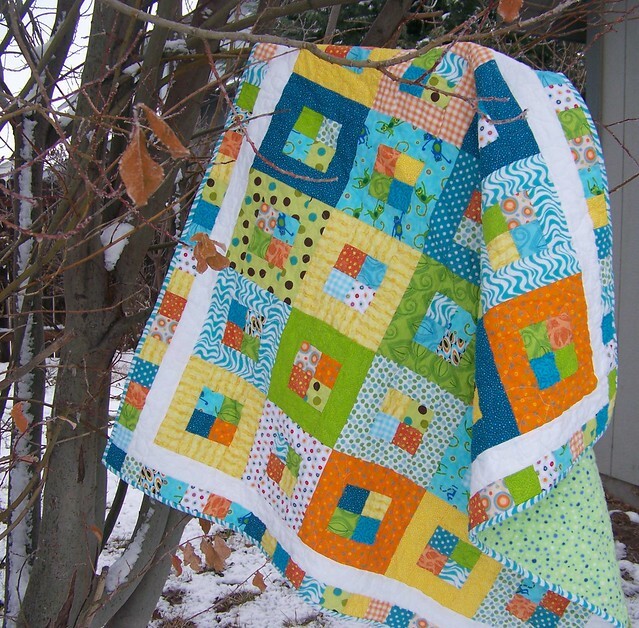 My kids favorite are the gingerbread men :) Have a very Merry Quilting Day!!! 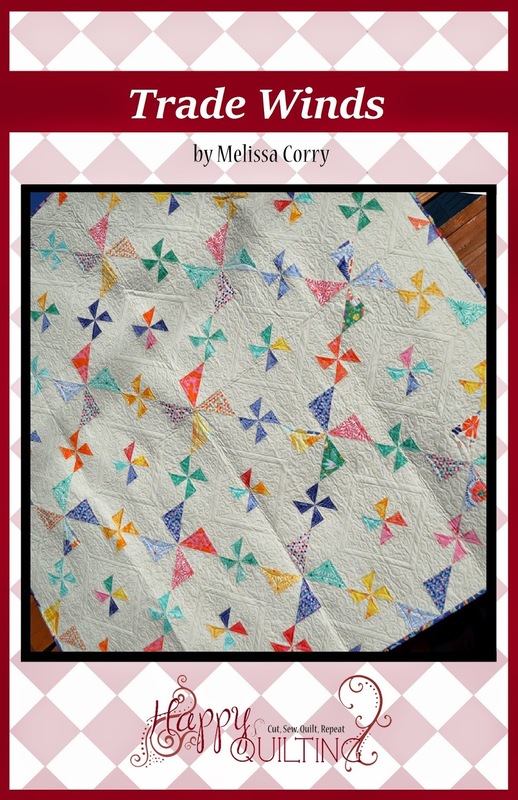 Thank you to all of you who helped me celebrate Happy Quilting's 1 Year Blogiversary!! Happy Anniversary. Over 1000 followers in one year, very impressive. I am a humble follower. So, on with the Grand Finale!!! 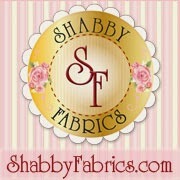 If you have followed my blog for anytime you will know that Burgundy Buttons is one of my awesome Sponsors!! 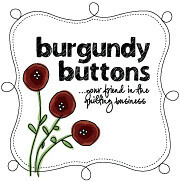 Burgundy Buttons is a terrific on-line shop and has excellent customer service. And they always have amazing sales going on that you will find all about on their blog. Right now, they have a different sale every day for a Christmas in July celebration. So much fun!!! 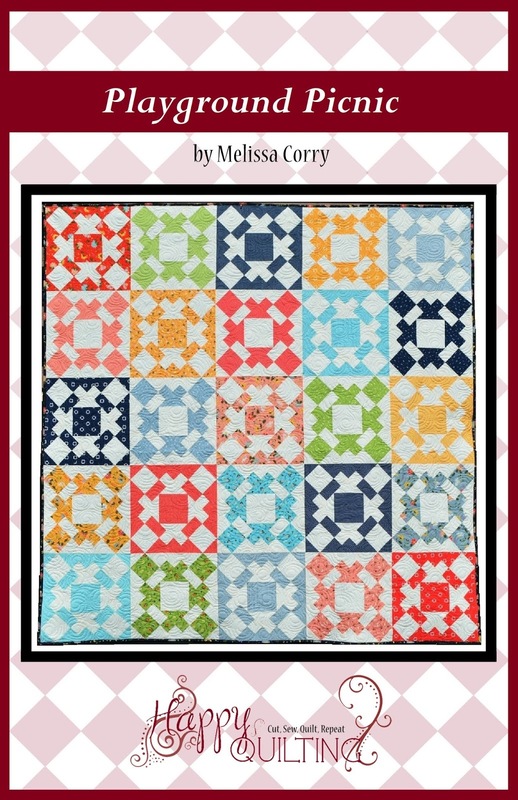 Leah is such an amazing woman and I have had a great working relationship with her for quite some time as she is my partner in making up cute Quilt Kits for my tutorials. So why do I bring this all up?? 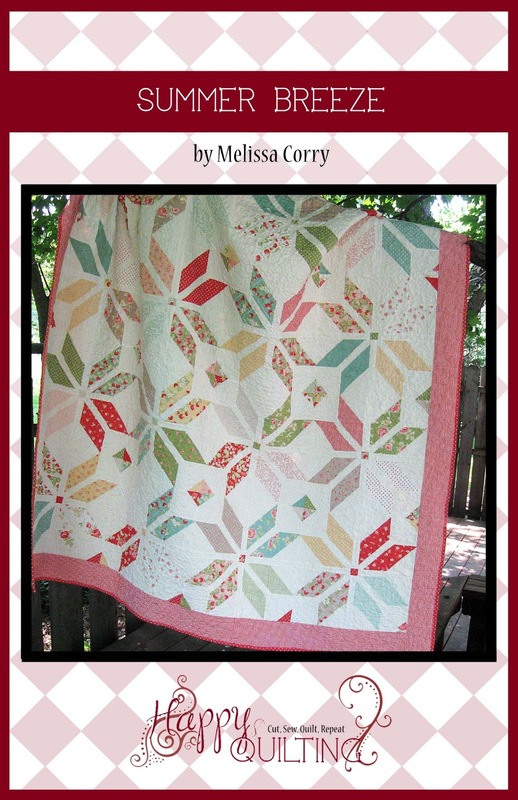 Well because today's giveaway is for a Summer Breeze Quilt Kit!!!!! 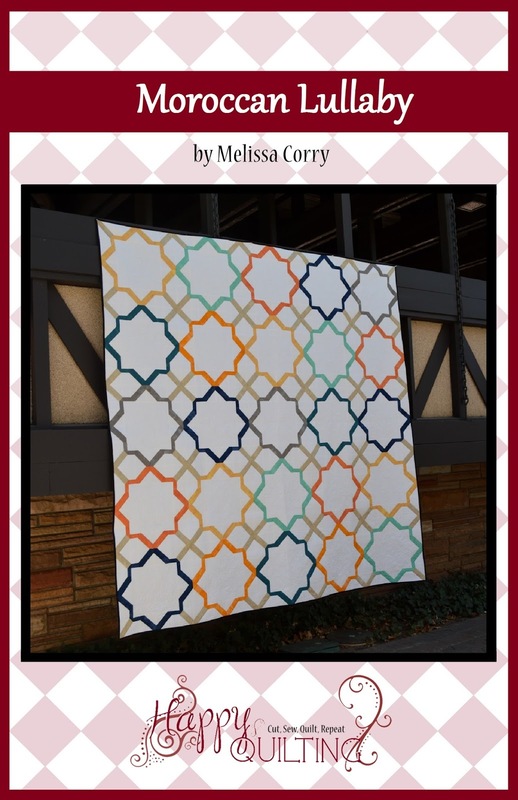 You got that right, everything you need to make the quilt top, including the pattern!!!! 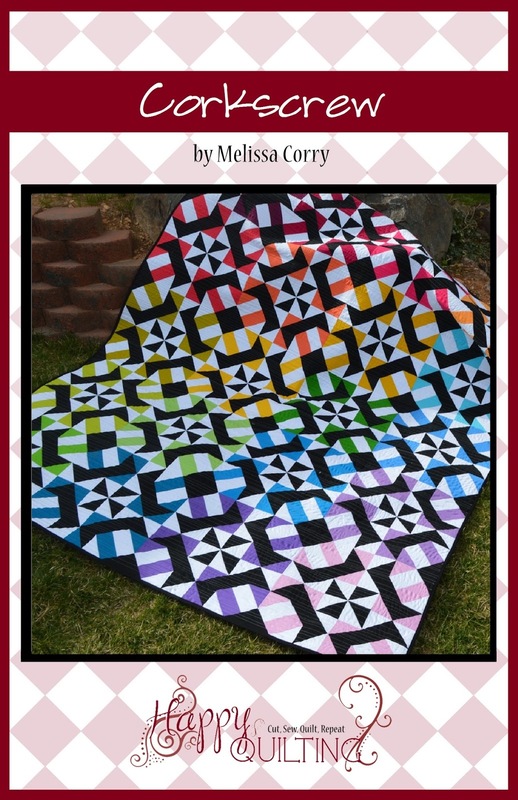 That means you get the Summer Breeze Pattern, a Strawberry Fields Layer Cake, 3 1/2 Yards of the solid background, 1 Yard for the Border, and 1 Yard for the Binding!!! How is that for a rocking ending!!!! Okay, so I know you want a chance to win this so here are the deets!!! 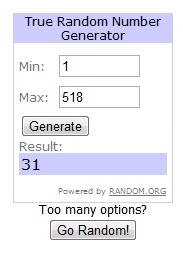 (pretty much the same as all week long, I bet you are an expert by now :) You have three chance to win, and please, leave a separate comment for each (for a total of 3 comments max :) If you leave one saying I did it all, Mr. Random.Org will only count it for one. 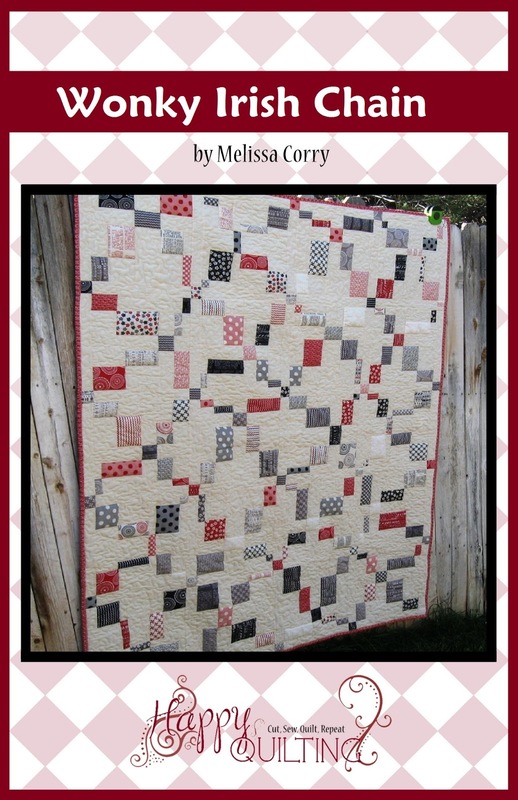 Be a follower of Burgundy Button's Blog or become one and leave a comment. Leave me any old comment about Burgundy Buttons. 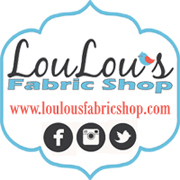 They are such an amazing shop. If you are just discovering them you will be super excited!! Alert the Media - Post on facebook, twitter, or your blog about this giveaway. Leave a comment saying where you wrote and a link :) You can post on all 3 sites but it only gets you one entry. But remember, the giveaway juju is a good thing!!! Oh, and one last thing. I saved it until the end because I didn't want it to be a downer. 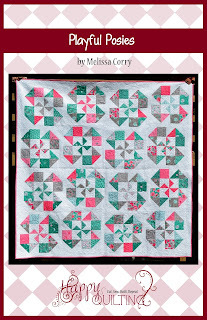 If you happened to have already bought my Strawberry Fields Pattern thank you and I need to inform you that there was a typo. 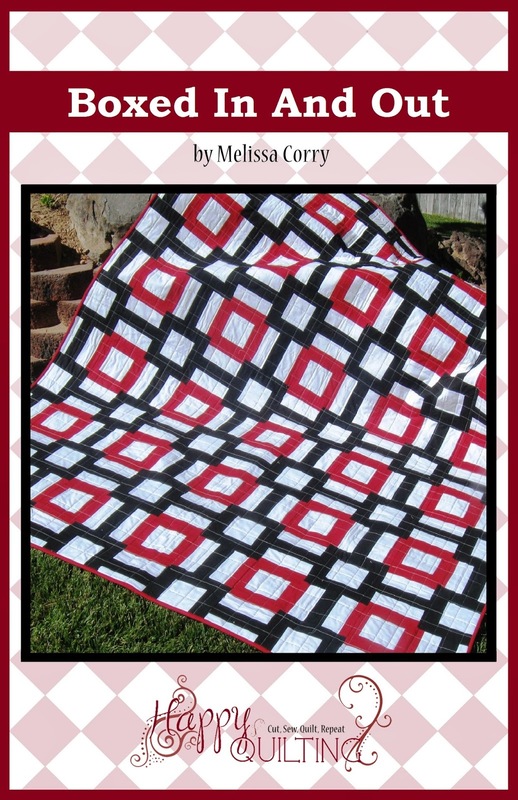 You can find the correction to it under the Pattern's tab up at the top of the blog. The typo has been fixed on the PDF version :) I am sorry, I checked it a million times but sometimes things slip through. Please accept my apologies for any inconveniences this may have caused you. 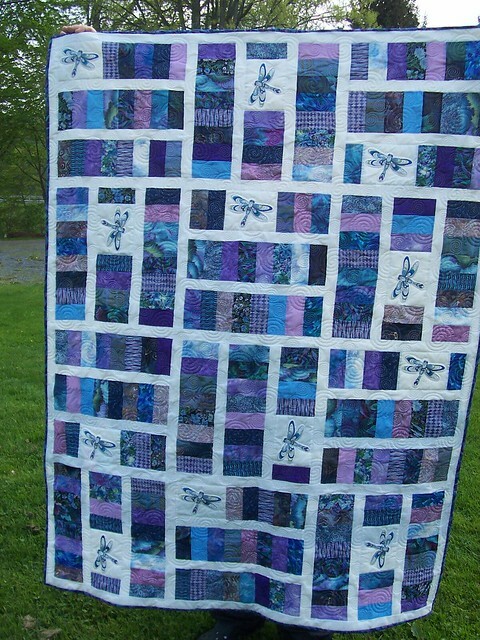 Thank you all and may you all have a Happy Quilting Day!!! Making tutorials is so much fun!! I love making the projects!!! 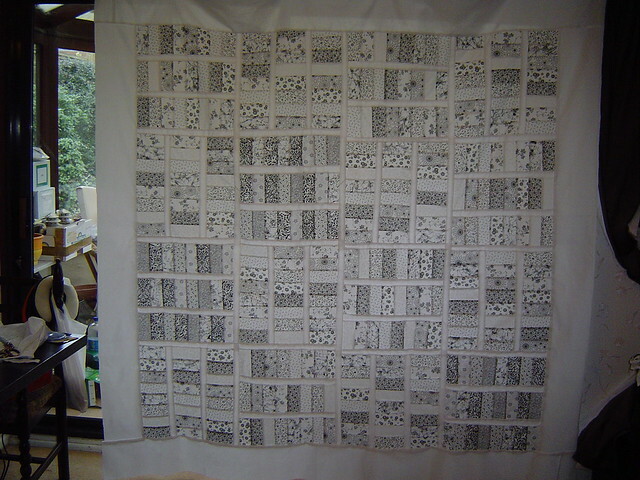 I love "arranging" fabrics a certain way to make sure I get a great layout for a picture. 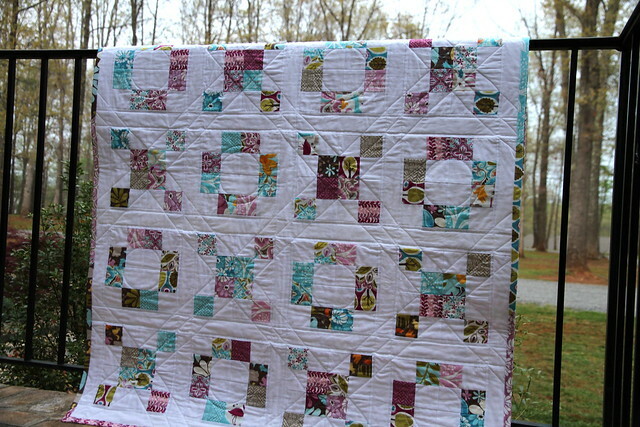 I love sewing it together and thinking the whole time of how I will word things!!! I would say I love the actual writing and editing pictures for tutorials, but that process is the not so fun part, at least for me. I would say I "like" writing the tutorials :) I love having tutorials available for people to make. 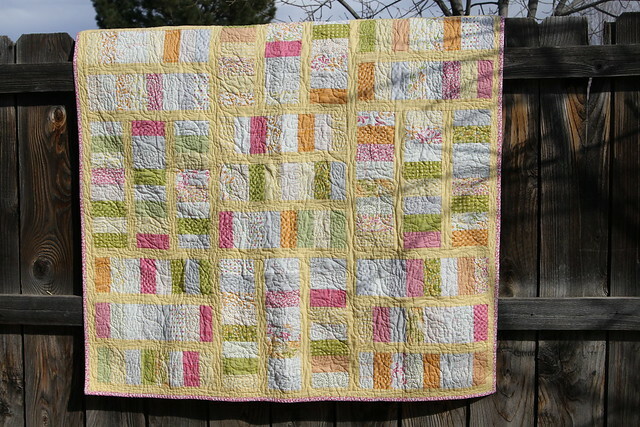 And most of all, I love, love love when others use my tutorials to make their own beautiful creations!!! Another version of Sugar Pop N Change posted by Hannah. I just love the yellow background!!! 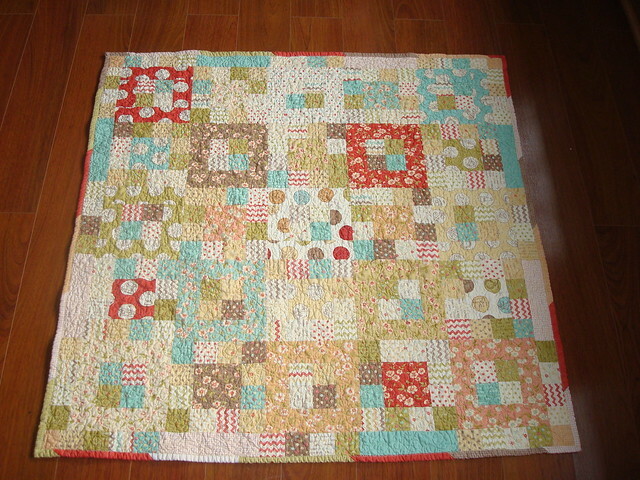 Janet from CA emailed me this picture of her completed version of Sugar Pop N Change just a few days ago. I love how it pops!!! 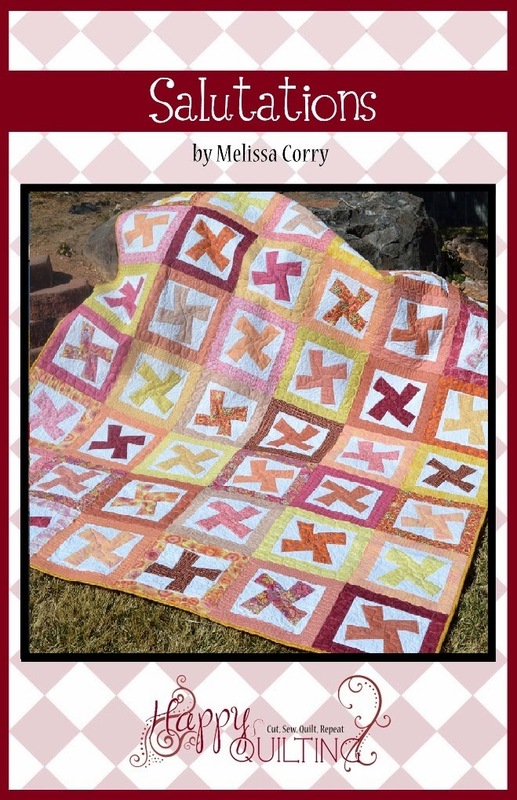 T. Anne posted her version of Hugs and Kisses from the Park. 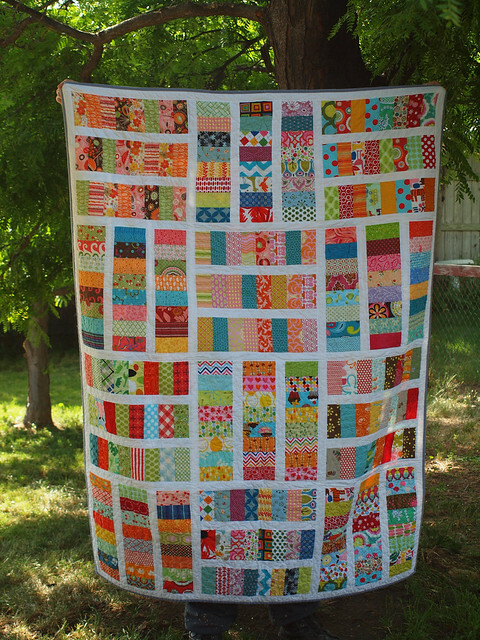 It blows me away how even with the same fabric a quilt can look so different because of different quilting. So fun!! Color Me Quilty posted this beautiful version of Sugar Pop N Change. I love how she substituted 2 coins for the dragonfly print. What an amazing effect!! 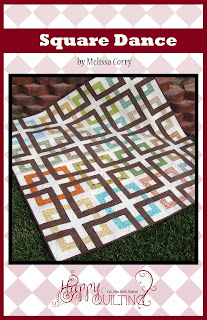 colimachia's version of Snuggly Squares. 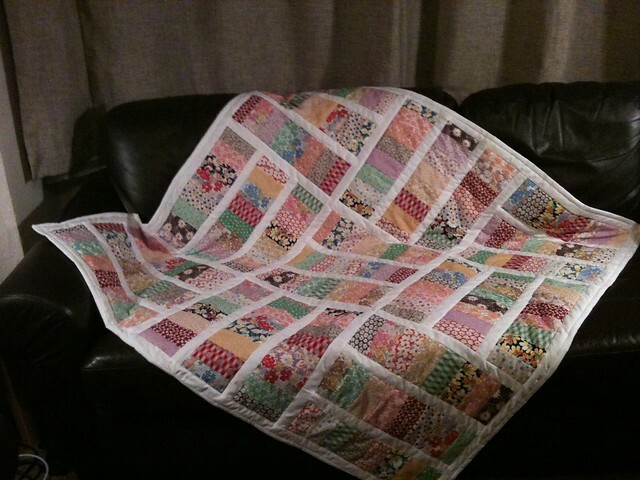 She made it larger to be a lap quilt instead of a baby size and I just love it. The colors are so beautiful together!! 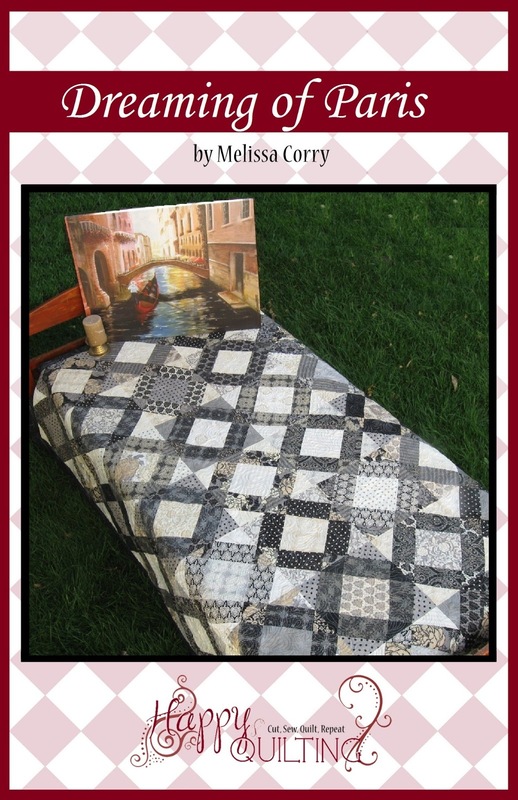 This black and white king size version of Sugar Pop N Change was posted by kazwee75 and was her first quilt top. I am blown away that she bit off a king to start with. Amazing, it is absolutely stunning!!! 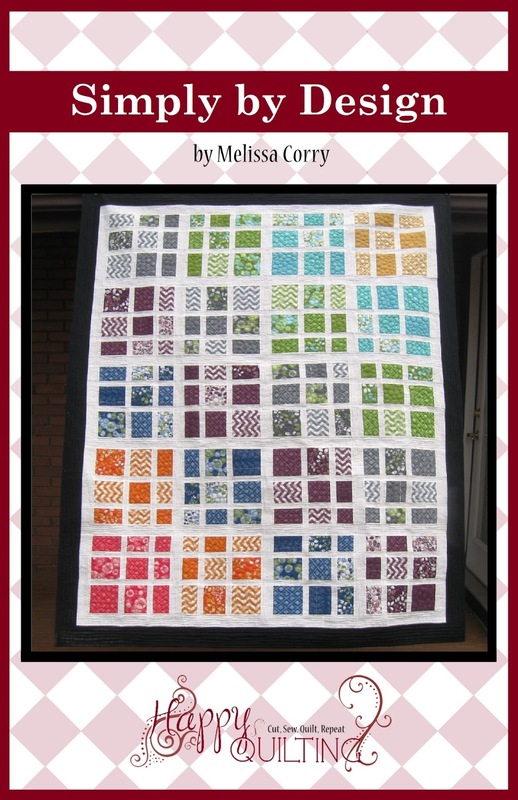 The Happy Quilting 1 Year Blogiversary Celebration continues on!!! And today I have something in store that you make you all want to celebrate!!! 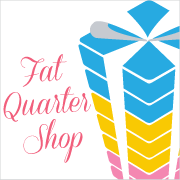 Today's giveaway sponsor is the Fat Quarter Shop. If you haven't heard of their shop you are missing out. They have everything, and I do mean everything. In fact, just yesterday they announced on the blog, The Jolly Jabber, that they are releasing their own pattern line called It's Sew Emma!! How exciting is that!! So today, Kimberly is sharing the Christmas in July love by sponsoring a Tremendous Giveaway. What is it, you might ask??? . . . First off, sit down, I wouldn't want you to faint when you read this next part. . . Up for your chance to win is . 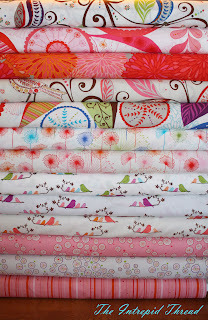 . .
An Entire Fat Quarter Bundle of Kate Spain's Flurry!!!!!! 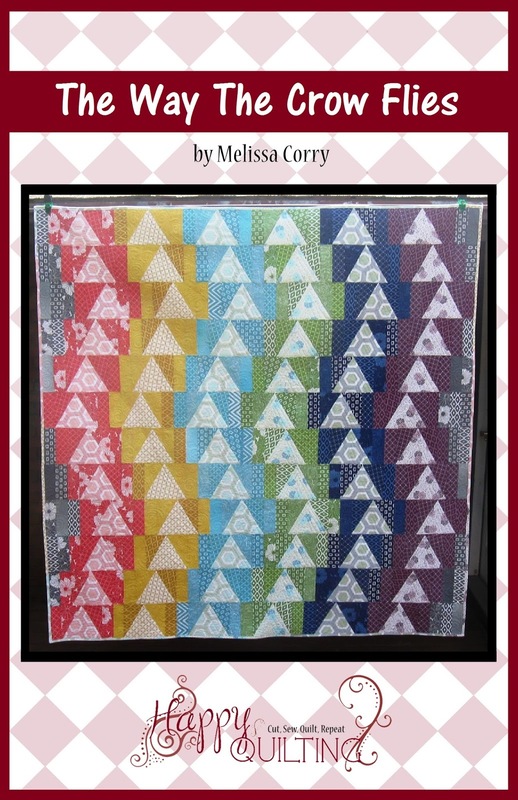 as in 28 Fat Quarters and a Panel!!!! 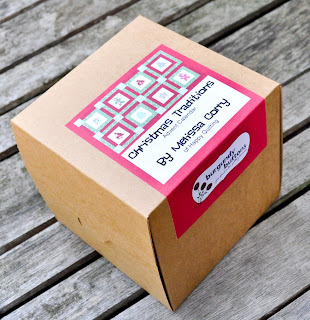 Be a follower of The Jolly Jabber Blog or become one and leave a comment. Leave me any old comment about the Fat Quarter Shop or the Jolly Jabber. That shouldn't be hard, they are such a tremendous shop you could write about them all day! 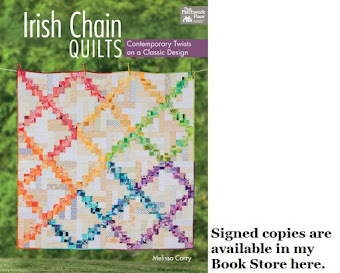 Alert the Media - Post on facebook, twitter, or your blog about this giveaway. Leave a comment saying where you wrote and a link :) You can post on all 3 sites but it only gets you one entry. Giveaway will be open until July 19th and a winner will be announced on the 20th :) And as a side note . . . 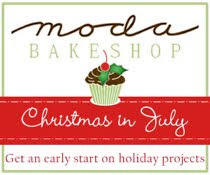 I will be posting my Christmas in July Moda Bake Shop Tutorial on the 19th that uses this same line. Yippee Skippee for Christmas in July!! What better way to celebrate one's Blogiversary than signing up for an awesome conference!!! 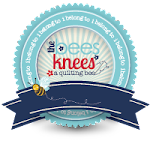 I have wanted to attend the Sewing Summit since I heard about it but have put it off because the timing was a bit off for me (more on that below). But yesterday I decided (after a little discussion with my sweet husband and my mother) that I am Going!!!!! I am so excited!!!! So what was holding me back . . . Well, I am due to have our 5th child some time around the 25th of September. But I decided that gives me a good 2 weeks to recover before the conference. And my wonderful mother, who happens to live just outside of SLC has agreed to watch the wee little one during the day for me. Ya, I really want to attend this conference!!! I wish I could stay up late at the hotel with all of you ladies and run around in pj's gabbing with everyone but I will be content with attending the conference in the day and taking care of my newest little bundle of joy in the evening. (and probably most of the night :) So if you see me there and I happen to be falling asleep just give me a quick nudge :) Can't wait to meet some of you in person!!!! Yippee Skippee!!!! Oh my goodness, Oh my goodness!!! 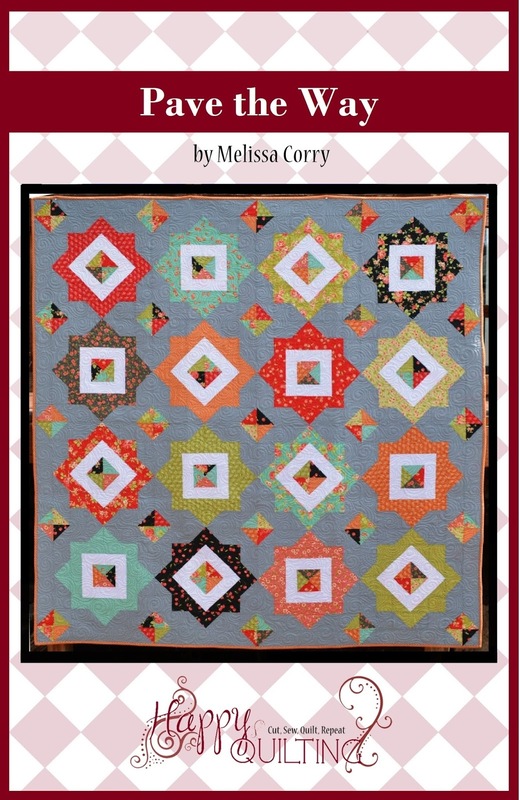 Happy Quilting is a year old today!!! And I have to say, what an amazing year it has been. 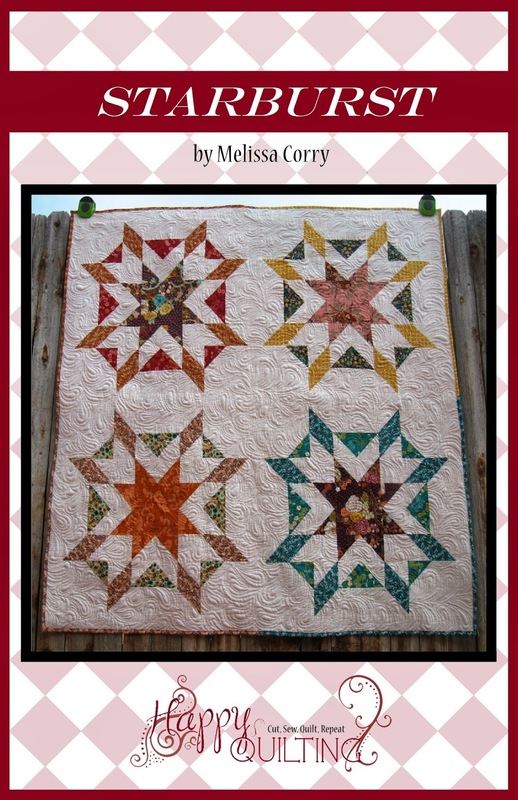 I originally created this blog so that I would stop taking over the "family blog" with all of my quilting pictures. That was my only purpose. And in 1 year, one tiny year, later it has grown in leaps and bounds!!! I am just blown away by the amount of growth!! 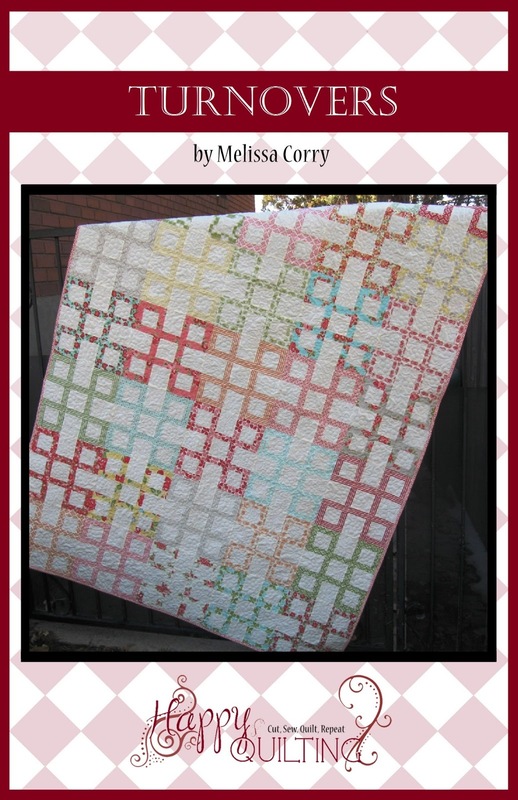 And I am just thrilled with that growth and the opportunities this blog has given me in my little quilting corner of the virtual world. And it would not be possible without all of you!!!! Thank you, thank you, thank you to all of you out there!!! 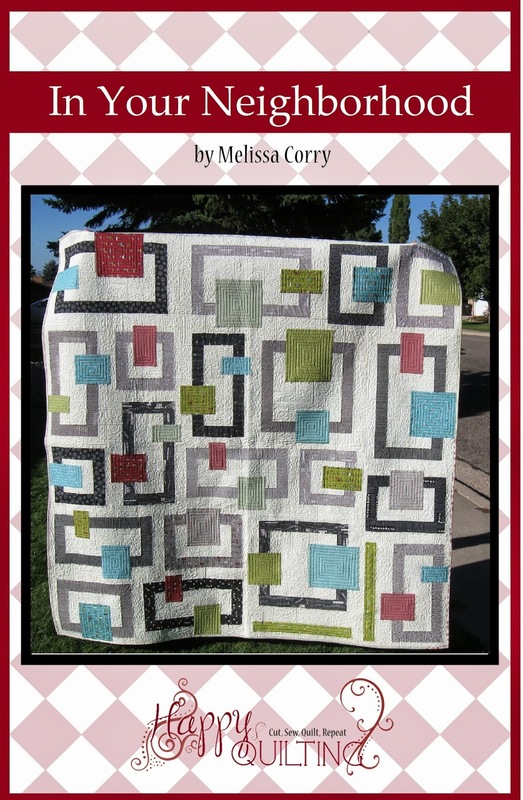 For those that read Happy Quilting, that leave sweet comments, that make my tutorials, and that generally just make me feel so happy in this quilting endeavor!! 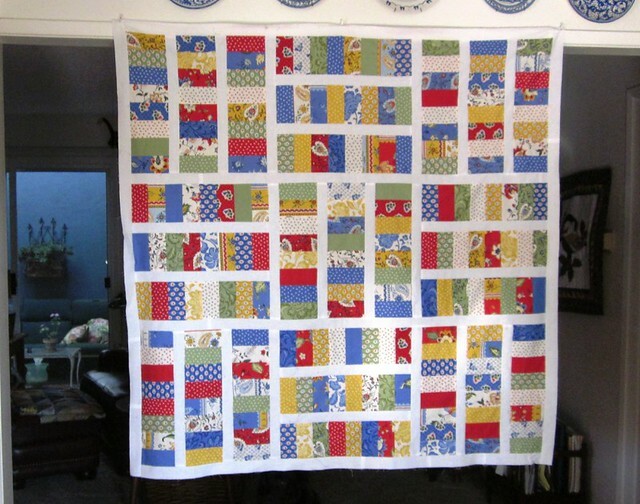 You all are what makes Happy Quilting so fun!! 2 - Be a follower of The Intrepid Thread Blog or become one and leave a comment. Leave me any old comment about The Intrepid Thread, like I said, it is an amazing shop. Giveaway will be open until July 17th and a winner will be announced on the 18th :) So get commenting :) And that's all!!! 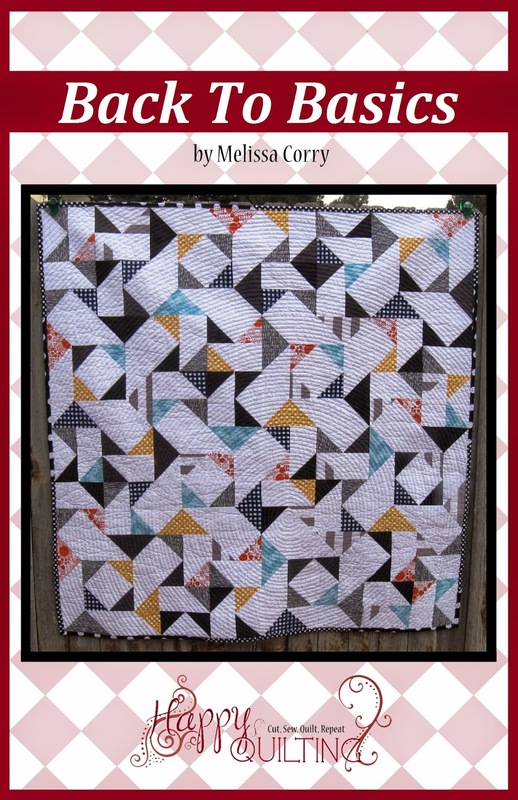 Now go grab yourself a piece of cake and celebrate Happy Quilting's 1 year Blogiversary with me!! Yipeee Skippee!!!! So the past 3 weeks have flown by!!! And I have to say, I LOVE IT!!!! We have spent more time with family in the last 3 weeks than we probably have in the last 3 years. (possibly an exaggeration but you get the idea. :) We pretty much get to the house in time to climb into bed and start all over the next day. We have had a baptism, a blessing, a holiday, and today we have a birthday and tomorrow a Reunion. Yippee Skippee for living close to family again and not having to miss out!!! Which is good because . . . I am behind on my VIBee Block. (Sorry Meagan). I am going to be turning these . . .
And starting something special for my Grandmother with this. And whipping up these adorable little books for another special someone. So here is to sewing time starting on Monday the 11th!!! !